We are governed by a Board of Trustees who come from a range of different backgrounds, and are all committed to seeking justice who those who are unfairly impacted by the benefits system. The Board meets 4 times a year; a separate Finance Sub-Committee also meets quarterly, and the HR and Policy Committee meets bi-annually. Mick McAteer is the founder and Director of The Financial Inclusion Centre, a UK-based not-for-profit think tank that promotes fair, inclusive, efficient and accountable financial markets. He is also a board member of the Caritas (Westminster) Advisory Board, board member of Registry Trust, and deputy Chair of the Northern Ireland Consumer Council. He is a former board member of the UK Financial Conduct Authority and former Chair of the European Commission’s Financial Services User Group (FSUG). Emma is Programme Manager for the UK and Europe at the Thomson Reuters Foundation. She is a qualified lawyer and experienced trainer in welfare, social security and housing law. 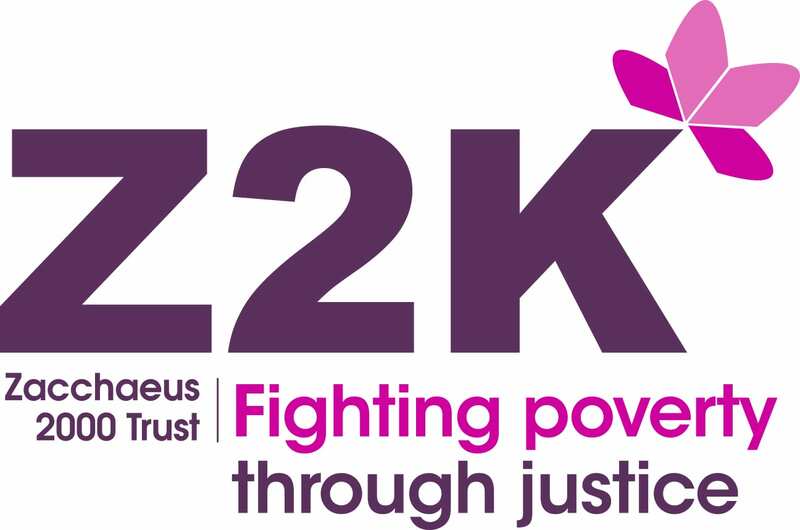 Previously, she managed Z2K’s partnership project focusing on maladministration in the delivery of welfare services before moving to The AIRE Centre to lead their work with EEA Women in Prison. Kay is a qualified Chartered Accountant with experience in International Development, Humanitarian Aid and Public Sector Audit from KPMG. She has knowledge of a range of institutional donors, NGOs and UN entities and has a variety of country and sector experience. Jim is a Consultant at Q5, working with senior client teams on organisation design, transformation and process design projects. He has helped to deliver lasting change across a wide range of organisations with clients including Royal Mail, Wates, British Gas and the British Council. Prior to this he spent the majority of his career with the BBC where he held senior management positions across factual series in history, arts, science and natural history. Siobhan is the president of St Vincent de Paul Society in Westminster Diocese, a charity which makes around 600,000 visits to people in need throughout England and Wales each year and operates numerous projects to help people in local communities. She is also on the Caritas Advisory Board for Westminster Diocese. Chris has spent most of his career in the voluntary sector, first as Director of the Low Pay Unit campaigning for a national minimum wage and later as CEO of One Parent Families/Gingerbread, and Vice Chair of End Child Poverty. Chris was MP for Gravesham between 1997 and 2005, during which time he served as a Work and Pensions Minister. He later became Director of Financial Capability at the Financial Services Authority and then Head of UK public affairs for an international communications agency. He is now Chair of the Lending Standards Board, of the Money Charity, the Caxton Foundation and of the Equity Release Council Standards Board and is Vice-Chair of the Financial Inclusion Commission. Chris is also trustee of the Family and Childcare Trust. Randeep is social affairs editor for the Guardian. He was the paper’s south Asia correspondent for six years and a leader writer for the paper, specialising in globalisation. He was a City news editor and worked on the home news desk. He has won Scoop of the Year and What the Papers Say Investigation of the Year for work on parliamentary lobbying scandals. Dame Ruth Runciman worked for 30 years as a CAB advisor in Hackney and then North Kensington. She also set up the first CAB in a prison, in Wormwood Scrubs in 1989. She has a lot of experience in mental health, having been Chairman of the Mental Health Act Commission and Chairman of Central and North West London NHS Foundation Trust. She was a founder Trustee of the Prison Reform Trust and is now their Deputy Chairman. Jess is a qualified solicitor who works as a Professional Support Lawyer at Clifford Chance, primarily supporting the firm’s lawyers on relevant legal issues, reviewing upcoming legislation and considering its implications for the practice. She also trains lawyers on new legislation and market developments. Prior to this she worked at Deutsche Bank as in-house legal counsel in the Debt Capital Markets department, ensuring legal best practice was followed by bankers. Jess completed her legal training at Lovells (now Hogan Lovells).